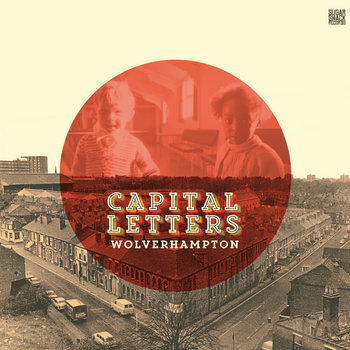 Capital Letters were a popular UK roots reggae bands, founded in the early '70s in Wolverhampton, in England's West Midlands. But by the early '80s, they were a functioning band no longer, leaving fans with just a memory of their deep rhythms and bubbling melodies. Happily, they reformed in the current decade, and still sound wonderful. In 2011, they released the digital-only Planet Earth LP for VP Records. While that release was welcome, Bristol's Sugar Shack found a way to improve on it with their new release for the band, Wolverhampton. Remixing (and perhaps re-recording) the eight tracks from the 2011 record and adding six new songs, we have 14 tracks of roots reggae -- with a dash of lovers rock -- in a choice of CD or digital. There also is a vinyl version which includes the first five tracks, plus the dub version of each. Offering serious social and political commentary interspersed with lighter themes, the album draws on all of the elements that make reggae such a beloved genre. The vocals are warm and expressive, and the rock solid rhythms and memorable melodies are adorned with brass and keyboards. Perhaps an ancillary benefit of the maturity of the players, there is a palpable sense of playfulness to the music. Moreover, The production is superb, and this may be one of the most consistently high quality reggae recordings you have heard in a while. If for some reason you only are going to buy one classic reggae album this year, here it is and it is only March. I've included a few of my favorites here, but if you are a 'try before you buy' music fan, hit the Bandcamp link below and stream the entire album. The songs on Wolverhampton were written by G. Brown Jnr. and Lukas Daley, who also are the lead vocalists. Daley also played guitar, and Brown played bass. Joseph Sullivan played lead guitar, Vincent Pryce and Matthew Graham played keys. Drums were hit by Dennis Watson. Additional percussion was provided by Colin Palmer and James Archer. Kadeem played the horns. Backing vocals were contributed by Tasheka Coe, Steve Ital, and Yvonne James.